The leaves on this solid oak fold top table are supported by loopers and can be conveniently folded away when not in use. 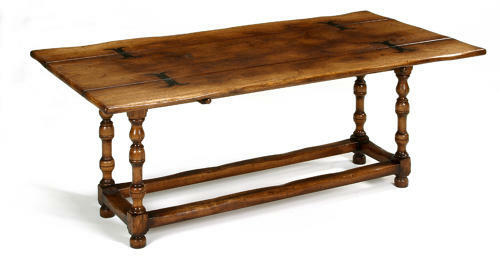 This design makes it multifunctional, ideal as a dining table or a serving table. The steel hinges are hand forged by a local blacksmith. Tons of character. This model is also successful as a coffee table.